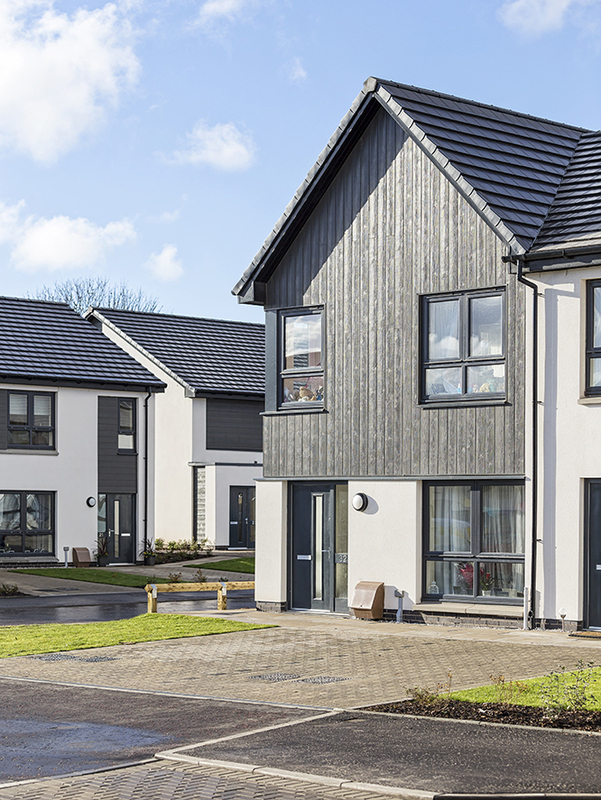 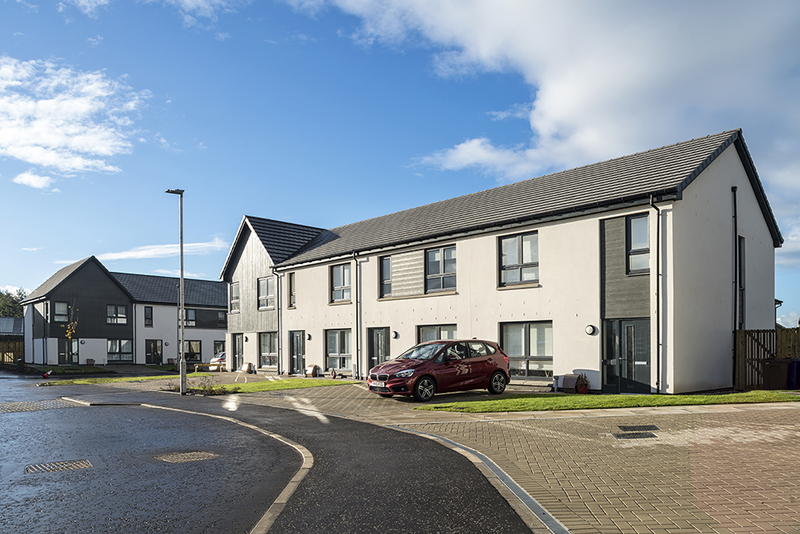 Completed in October 2018, the Weirston Road development provides 64 new build dwellings in a range of house types, including two-and three-bed family houses, cottage flats, and bespoke units for wheelchair and amenity use, all achieving Silver Aspects 1 and 2. 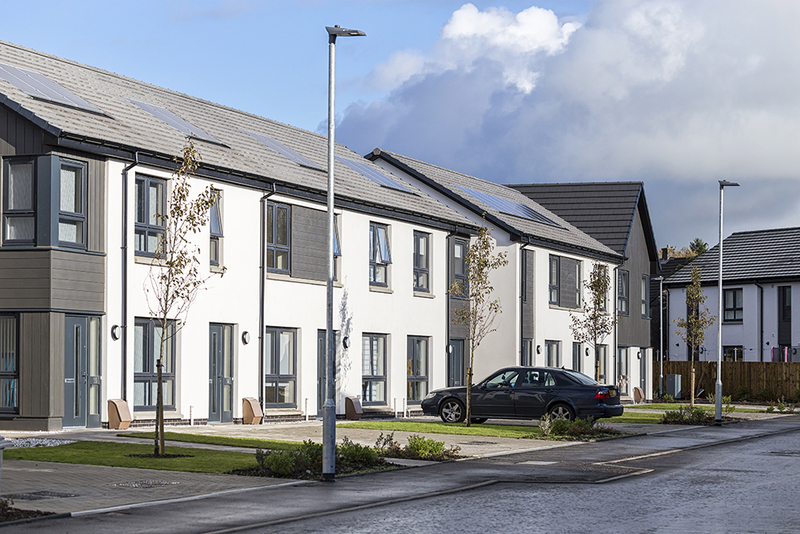 Built on a greenfield site on the eastern edge of Kilwinning, North Ayrshire, the project embraces the principles of Designing Streets to deliver a positive and character-rich environment for residents, benefitting from high levels of connectivity to the established residential areas adjacent, as well as to Eglinton Country Park (immediately opposite the site). 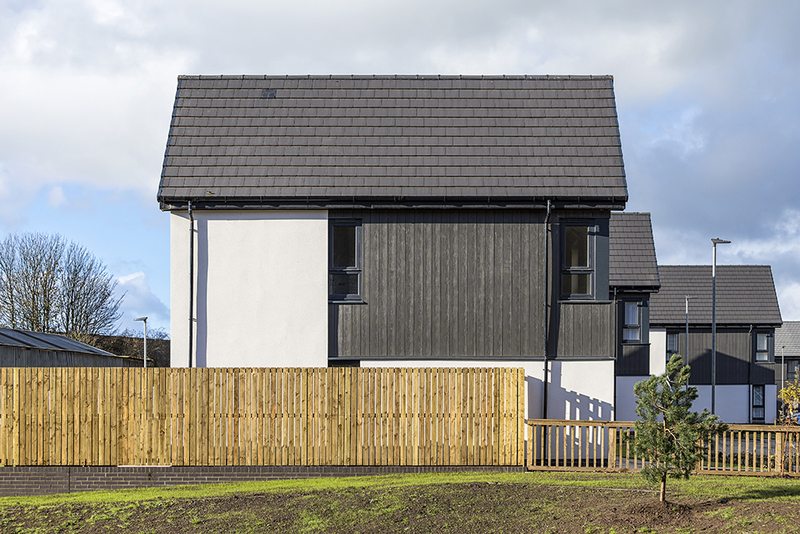 The semi-rural nature of the site’s location has influenced the overarching formal approach. 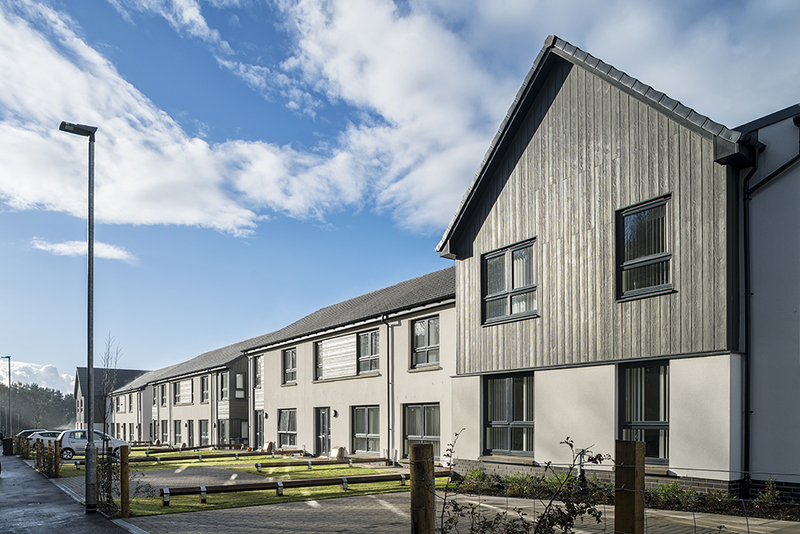 Developed in conjunction with the local authority, a consistent material palette of render and fibre cement cladding panels has been adopted, these being deployed in a near-monochromatic arrangement to establish a crisp and refined aesthetic. 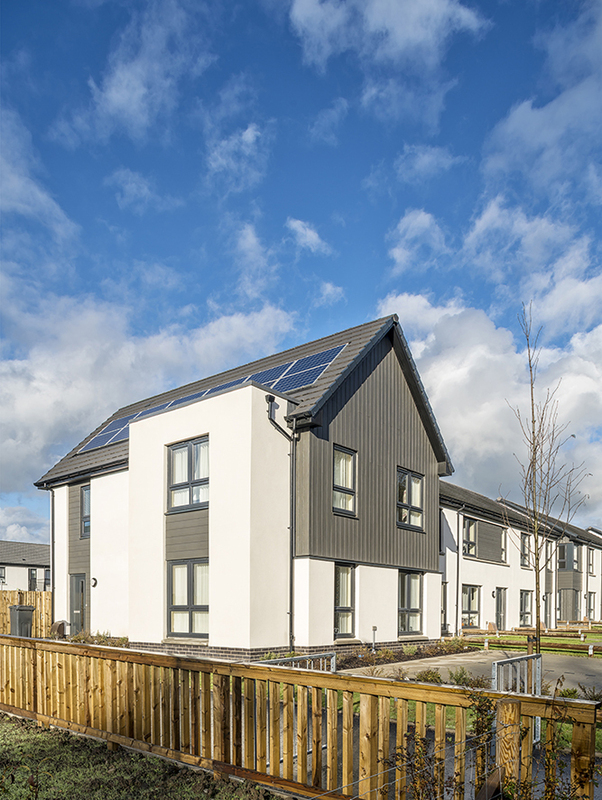 These tones are balanced by the use of extensive soft landscaping (incorporating new mature hedge planting, street trees, and shrub planted features), bringing colour and texture into the development to reflect the qualities of the site’s semi-rural surroundings.